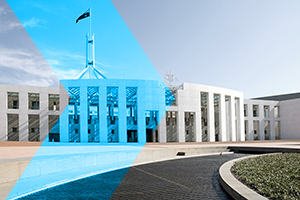 A number of integrity measures have been announced by the Government to improve the collection of taxation relating to investment in Australian businesses. From 1 January 2019 the Government will update the list of countries whose residents are eligible to access a reduced withholding tax rate of 15% on certain distributions from MIT, instead of the default rate of 30%. The update will add the 56 jurisdictions that have entered into information sharing agreements since 2012. The Government will introduce measures to address risks to the corporate tax base posed by stapled structures and similar arrangements. The package will also limit access to concessions for passive income utilised by foreign governments and foreign pension funds. investments in agricultural land will not be able to access the 15% concessional MIT withholding tax rate. The thin capitalisation changes will take effect from income years commencing on or after 1 July 2018. The remaining elements of the package will take effect from 1 July 2019. To address concerns over the impact on existing arrangements, a transitional period of at least seven years is available for all the measures in the package except the thin capitalisation changes. From 1 July 2019 MIT and AMIT will be prevented from applying the 50% capital gains discount at the trust level. The measure will ensure that MIT and AMIT operate as genuine flow‑through tax vehicles, so that income is taxed in the hands of investors, as if they had invested directly. This measure will prevent beneficiaries that are not entitled to the CGT discount in their own right from obtaining a benefit from the CGT discount being applied at the trust level. From 8 May 2018 partners that alienate their income by creating, assigning or otherwise dealing in rights to the future income of a partnership will no longer be able to access the small business capital gains tax (CGT) concessions in relation to these rights from May 8. This measure will prevent taxpayers, including large partnerships, inappropriately accessing the CGT small business concessions in relation to their assignment to an entity of a right to the future income of a partnership, without giving that entity any role in the partnership. There are no changes to the small business CGT concessions themselves. The concessions will continue to be available to eligible small businesses with an aggregated annual turnover of less than $2 million or a market value of net assets of less than $6 million. Phoenixing involves a number of illegal actions in order to evade or avoid income tax, GST and employment obligations. This activity impacts a wider gambit of community and the Government intends to protect scammed customers, employees who lose wages or superannuation entitlements and the wider community as a result of lost tax revenue. Restrict the ability of related creditors to vote on the appointment, removal or replacement of external administrators.